Lee Florea is an Assistant Professor at Ball State University in Muncie, Indiana. 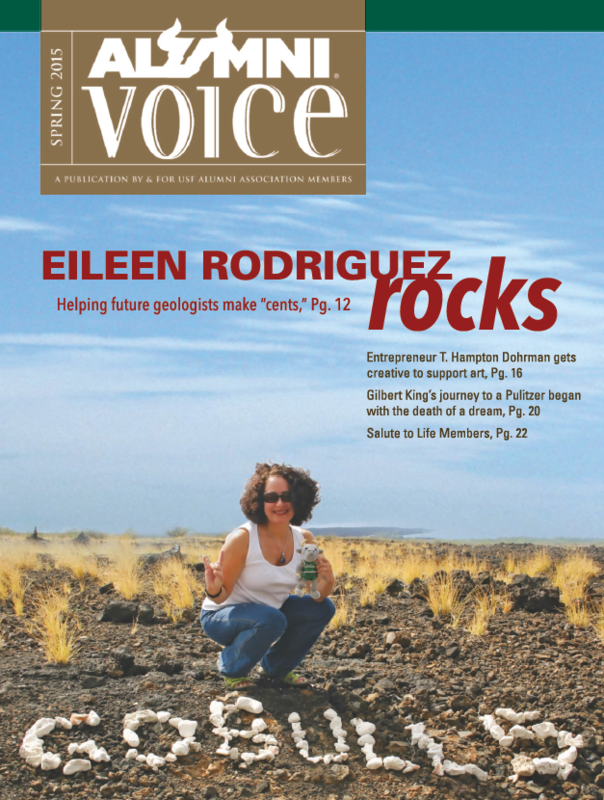 Eileen Rodriguez featured in the Spring, 2015 issue of Alumni Voice! Please enjoy these issues of Into the Field, a newsletter published by the USF Geology Alumni Society and dedicated to promoting the vitality of the USF Geology Field School Program. Join the GAS mailing list!